1. U.S. Census Bureau, 2016 American Community Survey 1-year estimates, Table B17016. 2. 2016 National Survey of Children’s Health. All children deserve access to affordable, quality physical and behavioral health care. Quality and consistent preventive health care, beginning even before birth, gives children the best chance to grow up to be healthy and productive adults. Adequate levels of immunization, public health efforts to prevent disease and disability, and support for maternal health and positive birth outcomes are examples of measures that help children now and later. Good health, both physical and behavioral, is an essential element of a productive and fulfilling life. 26,594 babies were born in 2016. 15.6% of babies received inadequate prenatal care. Women who see a health care provider regularly during pregnancy have healthier babies and are less likely to deliver prematurely or to have other serious pregnancy-related problems. The ideal time for a woman to seek out prenatal care is during her first trimester or even prior to getting pregnant. • knowledge of importance of care. Source: Vital Statistics, Department of Health and Human Services (DHHS). *This data is not comparable to years 2011 and prior due to changes in methodology. 2. Vital Statistics, Department of Health and Human Services (DHHS). While teen pregnancy occurs at all socio-economic levels, teen moms are more likely to come from economically-disadvantaged families or to be coping with substance abuse and behavioral problems. Teen birth is highly correlated with child poverty. In turn, children born to teenage parents are more likely to live in poverty, experience health problems, suffer from maltreatment, struggle in school, run away from home, and serve time in prison. Children of teen parents are also more likely to become teen parents themselves, thus perpetuating the cycle of teen pregnancy and generational poverty. 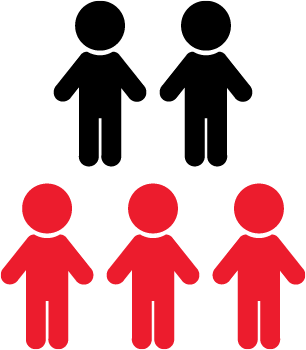 In 2016, there were 12 children ages 0-11 and 14 children ages 12-19 living with HIV. Since 2007, no children with a diagnosis of HIV or AIDS have died from the disease. 1. Center for Disease Control and Prevention, Youth Risk Behavior Survey, 2015. 3. HIV Surveillance, Nebraska Department of Health and Human Services (DHHS). There were 2,554 cases of sexually transmitted infections reported in children ages 19 and under in Nebraska in 2016. Infant mortality increased to 6.2 per 1,000 births in 2016 from 5.8 per 1,000 births in 2015. In 2016, 115 children and youth ages 1 to 19 died of various causes, the most common of which were accidents and suicide. 1. U.S. Census Bureau, 2016 American Community Survey 1-year estimates, Table B27016. 2. U.S. Census Bureau, 2015 American Community Survey 5-year estimates, Tables C27001B-I. 3. Financial and Program Analysis Unit, Nebraska Department of Health and Human Services (DHHS). Notes: “Children” category combines Medicaid and CHIP coverage. “Adults” are those aged 19-64 receiving Aid to Dependent Children, or temporary cash assistance through the state of Nebraska. Many children in Nebraska deal with behavioral health problems that may affect their ability to participate in normal childhood activities. 1. Division of Behavioral Health, Department of Health and Human Services (DHHS). 2. Financial and Program Analysis Unit, Department of Health and Human Services (DHHS). 3. 2011/12 National Survey of Children’s Health. 4. 2016 National Survey of Children’s Health. 5. Centers for Disease Control and Prevention, Youth Risk Behavior Survey, 2015.
received services at Hastings Regional Center, a chemical dependency program for youth from the Youth Rehabilitation & Treatment Center (YRTC) in Kearney. received services from Lincoln Regional Center at the Whitehall Campus. Source: Centers for Disease Control and Prevention, Youth Risk Behavior Survey, 2015. 18 children died and 177 children suffered disabling injuries in motor vehicle accidents. Source: Nebraska Department of Roads. The Statewide Blood Lead Testing Plan has detailed guidance on recommendations for when children should have their blood tested for lead. The Centers for Disease Control uses a reference level of 5 micrograms per deciliter to identify children as having an elevated blood lead level. Source: Nebraska Department of Health and Human Services (DHHS). Adverse childhood experiences (ACEs) are potentially traumatic events that can have negative, lasting effects on health and well-being. Source: 2016 National Survey of Children’s Health. Nebraska’s Network of Domestic Violence/Sexual Assault Programs includes 20 community-based programs. There are also five tribal programs which comprise the Nebraska Tribal Coalition Ending Family Violence. *Data does not include information from the Nebraska Tribal Coalition Ending Family Violence. Source: Nebraska Coalition to End Sexual and Domestic Violence. Health professional shortage areas are designated as having too few primary medical, dental, or mental health care providers. 80.6% of Nebraska children had received the primary immunization series* by age three. 80.2% of Nebraska teens were immunized against meningitis caused by types A, C, W, and Y. 50.6% of Nebraska teen girls and 41.3% of Nebraska teen boys completed their HPV vaccine series. A patient-centered medical home is a primary care physician or provider that serves as a child’s usual source of care. It is an important mechanism for coordination of all segments of health – physical, behavioral, and oral. 1. Shortage Designation, Health Resources and Services Administration, U.S. Department of Health and Human Services. 3. Immunization Program, Nebraska Department of Health and Human Services (DHHS).